Below is an look at the four drivers that have qualified for the NASCAR Xfinity Series Championship 4. They will race for the title at Homestead-Miami Speedway in the ‘Ford EcoBoost 300’ today. (3:30 p.m. ET on NBCSN, MRN and SiriusXM NASCAR Radio Channel 90). Joe Gibbs Racing’s Christopher Bell is having a record-breaking Sunoco rookie season and with his seventh win on the year last weekend at Phoenix, he now has the chance to vie for the championship this weekend in Miami. If Bell were to win the title this weekend, he would become the third different Sunoco Rookie to win the series championship joining Chase Elliott (2014) and William Byron (2017). Bell won the NASCAR Camping World Truck Series championship last season and looks to become the fourth driver to win both the Truck Series and the NASCAR Xfinity Series championship in his career joining Austin Dillon, Johnny Benson Jr. and Greg Biffle. Bell has made 32 series starts in 2018 producing a rookie record seven wins (Richmond, Kentucky, New Hampshire, Iowa-2, Richmond-2, Dover-2 and ISM Raceway-2), 18 top fives (series-most), 20 top 10s and five poles. He has also led 750 laps (series-most) this season and has managed an average start of 8.8 and an average finish of 11.1. In addition, Bell has posted solid season-to-date loop data stats, including a driver rating of 106.1 (third-best), an average running position of 10.266 (fifth-best), a total of 603 fastest laps run (series-most), and completed 81.3% of his laps (4,501) in the top 15 (fifth-best). Bell’s campaign through the 2018 NASCAR Xfinity Series Playoffs has been a roller-coaster of a ride but in the end, it has resulted in his shot at the championship. The Oklahoma native kicked his postseason off strong with a win from the pole at Richmond Raceway, a fifth-place finish at the Charlotte Road Course and then another win at Dover International Speedway to close out the Round of 12. Then disaster struck in the Round of 8, Bell was caught in incidents in back-to-back Playoff races at Kansas and Texas leaving him in a must win situation heading into last weekend’s Phoenix race. But the pressure wasn’t too much for Bell as he was able to win his way into the Championship 4, knocking Elliott Sadler out of the final four with a victory at ISM Raceway. 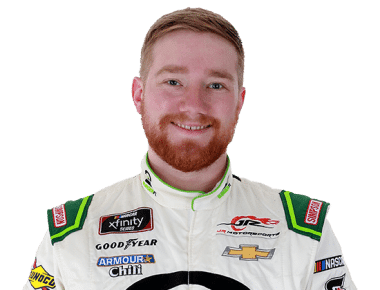 Bell made his NASCAR Xfinity Series track debut at Homestead-Miami Speedway last season while running part-time for Joe Gibbs Racing and competing fulltime in the NASCAR Camping World Truck Series. Bell started the race third but finished 36th due to an engine failure. Bell has also made three NASCAR Camping World Truck Series starts at Homestead-Miami Speedway posting one top five (runner-up), two top 10s and an average finish of 11.7. Jason Ratcliff, crew chief for the Joe Gibbs Racing No. 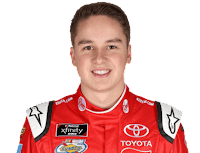 20 Toyota team with driver Christopher Bell, is one of the most successful crew chiefs in the series. He’s led JGR’s Kyle Busch to a unified NASCAR Xfinity Series driver and owner championship in 2009 and then followed that up with a second consecutive owner title in 2010. Ratcliff also guided Busch to the NASCAR Xfinity Series single season record of 13 wins in 2010. Ratcliff began his crew chief career in the NASCAR Xfinity Series back in 2000 at Brewco Motorsports working with driver Casey Atwood. He stayed at Brewco for three more years working with Jamie McMurray and David Green before joining Joe Gibbs Racing in in 2005. From then he has worked with multiple drivers in both the NASCAR Xfinity Series and Monster Energy NASCAR Cup Series for Joe Gibbs Racing. Joe Gibbs Racing started its NASCAR Xfinity Series program in 1997 and since then has amassed 152 series victories, two unified driver and owner championships (2009 Kyle Busch and 2016 Daniel Suarez) and three owner championships (2008, 2010, 2012). The 2018 season marks the second time the Joe Gibbs Racing organization has fielded drivers in the Championship 4 – in 2016 (Erik Jones and Daniel Suarez) and in 2018 (Christopher Bell). If Joe Gibbs Racing wins the owners championship this season the organization will extend their series lead in owner titles to six. #Championship4 contender @CBellRacing tops opening practice at @HomesteadMiami. 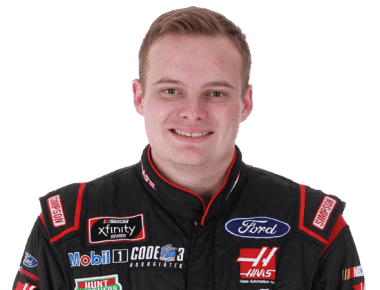 Stewart-Haas Racing’s Cole Custer has made the most of his sophomore season in the NASCAR Xfinity Series making the Championship 4 for the first time in his career. Last season, Custer fell just short of making the Championship 4 but ultimately finished fifth in the series standings as a rookie. Now Custer has the opportunity to bring Stewart-Haas Racing its first series championship this weekend at Homestead-Miami Speedway. Custer has made 32 series starts in 2018 collecting one win (Texas-2), 13 top fives, 25 top 10s (series most) and five poles. He has also led 294 laps this season and has managed an average start of 6.1 and an average finish of 9.2. In addition, Custer has posted stout season-to-date loop data stats, including a driver rating of 103.4 (fourth-best), an average running position of 8.921 (third-best), a total of 321 fastest laps run (second-most), and completed 87.9% of his laps (4,868) in the top 15 (second-best). While Cole Custer might be having a career season in the Playoffs, it has not come without some adversity. The California ace started the postseason off with a 15th-place finish at Richmond, a seventh at the Charlotte Road Course and then he finished out the Round of 12 with a runner-up at Dover International Speedway to advance. Custer’s fortune turned at the start of the Round of 8 though, he was caught in a multi-car incident at Kansas that relegated him to a 26th-place finish. The slow start had him outside of the Championship 4 cutoff heading into Texas and needing a win, and the 20-year old did just that. Custer won at Texas locking himself into the Championship 4 and then last week finished eighth at ISM Raceway. 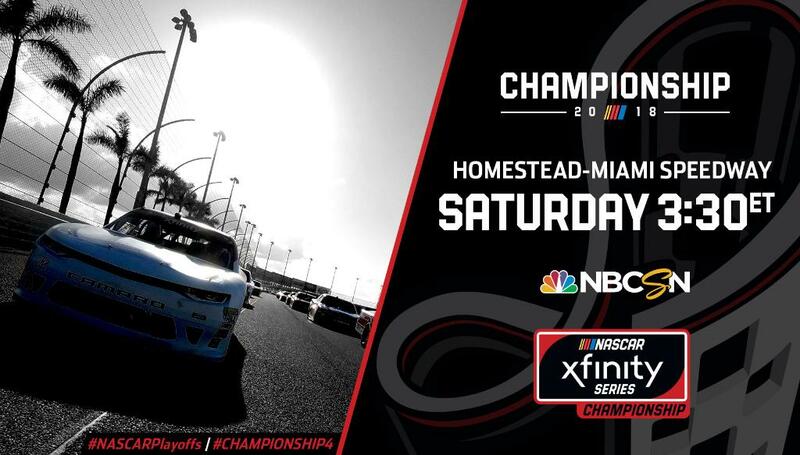 Of any of the 2018 NASCAR Xfinity Series Championship 4 drivers, none are more excited to see Homestead-Miami Speedway as the season finale as Stewart-Haas Racing’s Cole Custer. Custer posted his first NASCAR Xfinity Series career win at Homestead-Miami Speedway last season in dominating fashion. He started second and led 182 of the 200 scheduled laps (91% - a race record) and set the record average speed for the NASCAR Xfinity Series race at the track (136.140 MPH, 11/18/2017). In total Custer has made two series starts at HMS posting an average finish of 9.0. Jeff Meendering, crew chief of the Stewart-Haas Racing No. 00 Ford team, has spent most of his NASCAR career as a car chief, but this season looks to make his name amongst the championship crew chiefs of the series. Meendering began his NASCAR career with Hendrick Motorsports and after 11 seasons was promoted to car chief of the No. 24 team with driver Jeff Gordon and crew chief Steve Letarte in the Monster Energy Series. Meendering’s first time as crew chief came about when he filled in for a suspended Steve Letarte in 2007. The following season he took over crew chief duties on the No. 43 Petty Enterprises entry with Bobby Labonte. In 2009, Meendering joined Stewart-Haas Racing where he served as the car chief on the No. 14 Stewart-Haas Racing team and was with Tony Stewart for his final championship run in 2011. Then, Meendering moved over to be the car chief on the No. 20 Joe Gibbs Racing team with Matt Kenseth and crew chief Jason Ratcliff, until last season he rejoined SHR and became crew chief of the No. 00 team in the Xfinity Series with Cole Custer. The duo managed one win, seven top fives and 19 top 10s in their first year together. This season, the pair is looking for the title. Stewart-Haas Racing started its NASCAR Xfinity Series program last season fielding the No. 00 Ford Mustang team fulltime with driver Cole Custer and crew chief Jeff Meendering. The team finished fifth in the championship standings with one win on the season. This year, the organization returned with the No. 00 team intact and as a result they have raced their way into the Championship 4 with a big Playoff win at Texas. Now the team has a chance at bringing the first series title home for the organization. 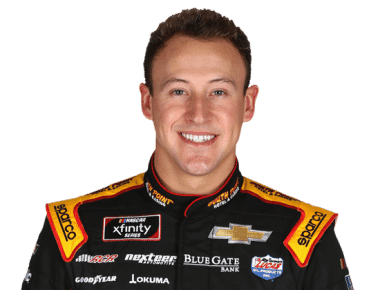 For the second consecutive season, Daniel Hemric has raced his way into the Championship 4 round and heads to Miami with a chance of becoming the next NASCAR Xfinity Series champion. Hemric has already been tapped to run fulltime next season in the Monster Energy NASCAR Cup Series, but a Xfinity title before he goes would be a nice feather in his cap. 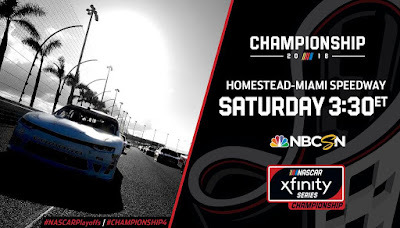 Hemric is still looking for his first win of his NASCAR career, if he were to win the championship this weekend with out winning the race he would become the first NASCAR national series champion to win a title without ever winning a NASCAR race at any level (0-for-2 in Cup; 0-for-66 in Xfinity [after Homestead]; 0-for-50 in Trucks; 0-for-3 in K&N Pro Series; 0-for-12 in NWMT/NWSMT and also 0-for-1 in ARCA). Hemric has made 32 series starts in 2018 amassing 15 top fives, 22 top 10s and four poles. He has also led 440 laps (fourth-most) this season and has managed an average start of 7.9 and an average finish of 9.1. In addition, Hemric has posted robust season-to-date loop data stats, including a driver rating of 106.1 (second-best), an average running position of 7.297 (series-best), a total of 290 fastest laps run (fourth-most), and completed 93.4% of his laps (5,174) in the top 15 (series-best). 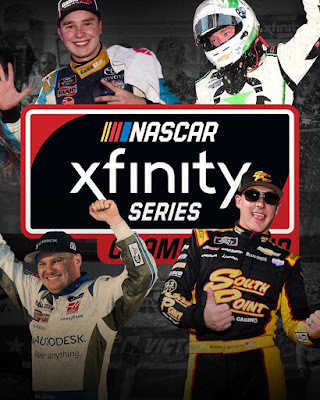 Hemric’s voyage through the 2018 NASCAR Xfinity Series Playoffs has been the smoothest of the Championship 4. The North Carolina native came out of the Playoff gate quick, with third-place finish at Richmond Raceway, a 10th-place finish at the Charlotte Road Course and then seventh at Dover International Speedway to close out the Round of 12. Then Hemric found even more speed in the Round of 8, finishing second at Kansas, 10th at Texas and again runner-up at ISM Raceway last weekend to guarantee his spot in the Championship 4. Hemric made his NASCAR Xfinity Series track debut at Homestead-Miami Speedway last season as a participant of the Championship 4. The 27-year old started the race fourth but finished 34th, 13 laps down due to a battery issue early in the event. Hemric has also made three NASCAR Camping World Truck Series starts at Homestead-Miami Speedway posting one top five, two top 10s and an average finish of 8.3. Danny Stockman Jr., crew chief of the Richard Childress Racing No. 21 Chevrolet team, began his NASCAR national series crew chief career in 2011 with RCR and driver Austin Dillon in the NASCAR Camping World Truck Series. 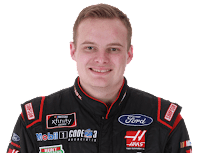 He led the then up-and-coming driver, Dillon, to a rookie season championship in the Trucks in 2011, and then followed that up by leading Austin Dillon to Rookie of the Year honors in the Xfinity Series in 2012 and then the series title in 2013. Since then he has worked with several drivers at RCR until being paired with Daniel Hemric last season; where the duo made the Championship 4 in their first season together. Now in their second season together they are once again in contention to challenge for the title this weekend in Miami. Richard Childress Racing has won two NASCAR Xfinity Series unified driver and owner championships with driver Kevin Harvick in 2001 and 2006. In addition, RCR has won two driver championships with Austin Dillon in 2013 and Clint Bowyer in 2008. The organization has also won Xfinity Series car owner championships in 2003 and in 2007. Richard Childress Racing began its NASCAR Xfinity Series program in 1995 and since has won 79 series races. The 2018 season marks the second time the Richard Childress Racing organization has fielded drivers in the Championship 4 – in 2017 and 2018 (Daniel Hemric). Heading into Phoenix it looked as though three of the Championship 4 this season could be from the JR Motorsport’s camp. 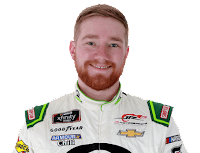 But following the action at ISM Raceway, only Tyler Reddick was able to advance and have a shot this weekend at the NASCAR Xfinity Series championship at Homestead-Miami Speedway. Reddick’s season has been a winning one from the start and his recent consistent finishes have led to this opportunity this weekend. 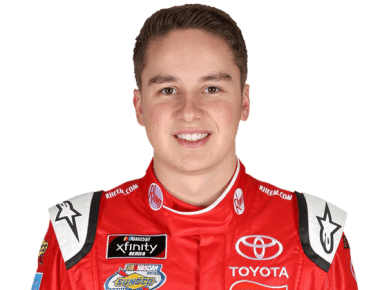 The 22-year old is on the verge of possibly winning the Sunoco Rookie of the Year honors and becoming the third different Sunoco Rookie to win the NASCAR Xfinity Series championship joining Chase Elliott (2014) and William Byron (2017). Reddick has made 32 series starts in 2018 rallying off one win (Daytona-1), six top fives, and 19 top 10s. He has also led 140 laps this season and has managed an average start of 11.9 and an average finish of 13.2. In addition, Reddick has posted decent season-to-date loop data stats, including a driver rating of 93.3 (sixth-best), an average running position of 11.018 (sixth-best), a total of 186 fastest laps run (eighth-most), and completed 79.7% of his laps (4,411) in the top 15 (sixth-best). Reddick has shined during 2018 NASCAR Xfinity Series Playoffs. The California native has posted a seventh-place finish at Richmond Raceway, a ninth-place finish at the Charlotte Road Course and then a 14th at Dover International Speedway to close out the Round of 12. Reddick’s Round of 8 was also full of momentum, he finished fifth at Kansas, runner-up at Texas and sixth at ISM Raceway last weekend to guarantee his spot in the Championship 4. Expect Reddick to be poised to give it all he has this weekend for the title, as he made his NASCAR Xfinity Series track debut last season at Homestead-Miami Speedway in impressive fashion. JRM standout won the pole and led 18 laps finishing fourth. He also has three NASCAR Camping World Truck Series starts at Homestead where he amassed two top fives, three top 10s and an average finish of 3.7. David Elenz, crew chief for the JR Motorsport’s No. 9 Chevrolet team, began his motorsports career at Jasper Racing in 2001. He then worked at Ginn Racing from 2003-07 and Red Bull Racing Team from 2009-11. In 2012, Elenz transitioned into an engineering role at Hendrick Motorsports. In 2013, working alongside crew chief Chad Knaus, Elenz helped Johnson earn his sixth career Monster Energy NASCAR Cup Series championship in addition to 10 victories during his two years on the No. 48 team. In 2014, Elenz took the next step in his professional career and joined JR Motorsports as a crew chief. Elenz has led drivers to nine NASCAR Xfinity Series wins and specifically driver William Byron to last season’s Sunoco Rookie of the Year and the NASCAR Xfinity Series driver championship. This weekend will be Elenz’s second consecutive time competing in the Championship 4. JR Motorsports has won two NASCAR Xfinity Series driver championships both with Sunoco rookies, Chase Elliott in 2014 and William Byron last season. JR Motorsports began its NASCAR Xfinity Series program in 2005 with driver Mark McFarland and since have won 43 series races; including six this season.